kolpo had the most liked content! Currently have the biomes with the easiest climates also the most resources. I think that biomes with bad climates or many aggresive animals should have at least as many resources as the easier biomes. So, I really want to know - what is technically wrong with you, developers? Glad my base is already build. This will hurt PVP servers the most, people are oke with me coming to their island to farm sap(or iron) on PVE. But something is telling me that people are not that welcoming in PVP. Various unofficial servers limit land claims. My current one has 1 claim/grid rule and they delete unused claims. It is the same in ark pve. Official servers tolerate pillar spawn, but most unofficial ones don't. Riding a bear is good to do the easier treasure maps. Griefing and toxicity is far less on unofficial servers. Do any of that stuff on the PVE grids of most moderated servers and you are banned. The server I currently play on even disabled aging. You won't have to do that horrible fountain quest on that server. They should just have done what my new unofficial server has done: disable ageing until we have an acceptable system. And having to play 36 hours continuously just to raise your offspring is NOT acceptable. I hope raising your offspring is not like raising bears. Have played on official server until now but I have just joined an unofficial server, the ridiculous hard fountain is just unacceptable. Imagine if after playing WoW for 1 month you got a debuff, a debuff you can only remove in the molten core raid instance. This is basically what the atlas devs did. This is mechanic is not just somewhat unbalance but it is like a rabbit who must fight 10 rexes, 150 sabertooth cats and 10 Abrams tanks. That rabbit is the solo player. I have dealt with everything which happened on officials but am now really considering moving to an unofficial server. Imagine that after playing WoW for 1 month you had to activate a fountain inside the molten core raid instance, this is basically what the atlas devs did. Fountain of Youth in EU PvE? Isn't this actually a buff? +50% resistance for our tames? Allow the sale of tames on player vendors. Most people who can ride a horse can't tame one. 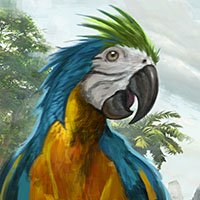 Allow the sale of tames on those upcoming player vendors(mentioned in last livestream). We can then have dedicated tamers who sell their pets to people who just want to ride those pets. I only use my shipyard 1% of the time, they should give us a save(griefing proof) way to rent our shipyard to others. Like a menu were I can specify that people can rent my shipyard for 5 gold/day for the next 4 days.